Dr. Irving M. Phillips, Jr., D.D.S. Dr. Phillips is a 1983 graduate of The Baltimore College of Dental Surgery, The University of Maryland Dental School. He came to practice in Easton that same year. He is a member of the American Dental Association, Maryland State Dental Association, and the Eastern Shore Dental Society. 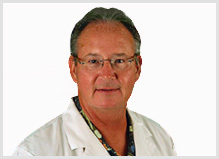 Dr. Phillips was born and raised in Cambridge, Maryland. He received a Bachelors of Arts degree in Biology from University of Maryland Baltimore County. He resides in Easton with his wife Jane and three boys.